Prepare to Experience Hurricane Like Power & Force! 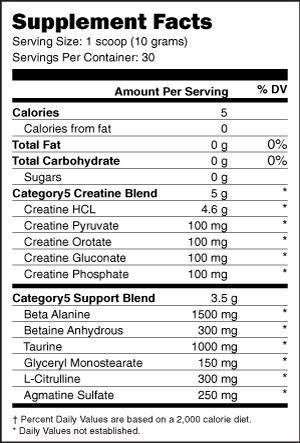 CATEGORY 5 was formulated to be the premier caffeine free power and strength formula for any athlete interested in improving strength, power output and stamina! 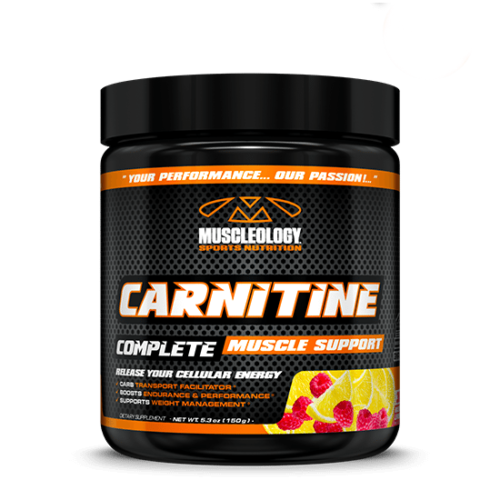 CATEGORY 5 delivers 5 forms of non-osmotic creatine (meaning it won’t cause water retention like Creatine Monohydrate) to support dramatic increased in muscular force and hardness. 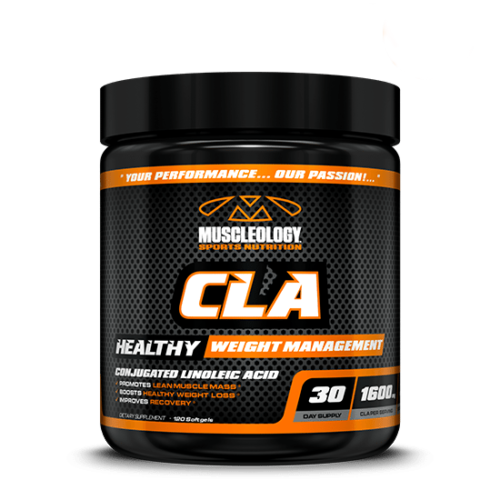 CATEGORY 5 stamina and endurance factors help you keep going for more sets and reps. 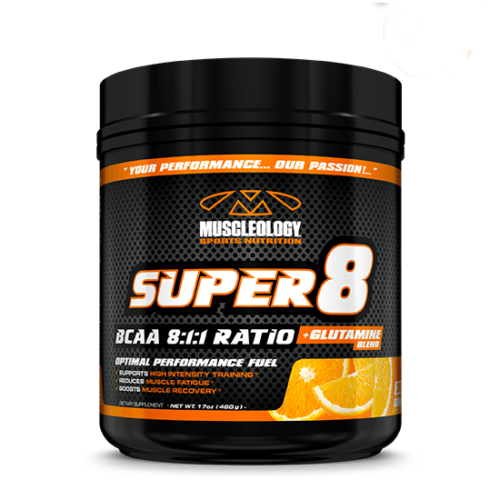 Ingredients such as Beta-Alanine, L-Citrulline and Agmatine have been shown to improve exercise performance through different pathways so you’re getting the best of both worlds with CATEGORY 5: strength and endurance. CATEGORY 5 is Stimulant Free Electricity! 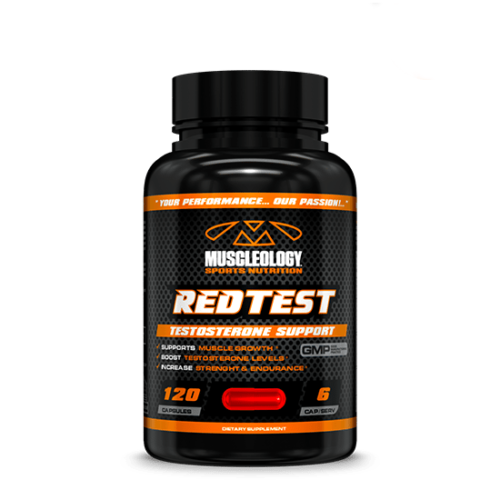 It’s tough to find a reliable caffeine-free pre-training formula these days, which is precisely why CATEGORY 5 was created! 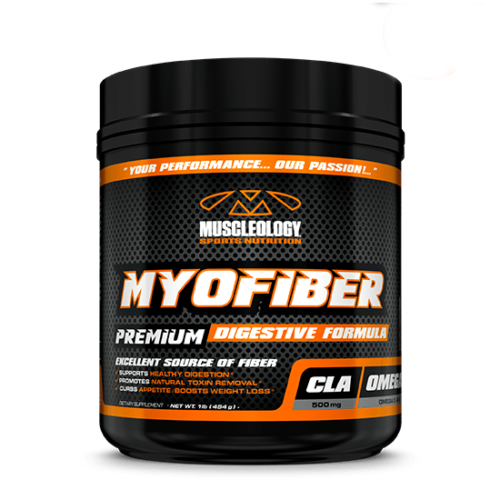 Since it’s launch this formula has been embraced by athletes and serious trainers for it’s ability to deliver added power and endurance each and every time without caffeine or stimulants. 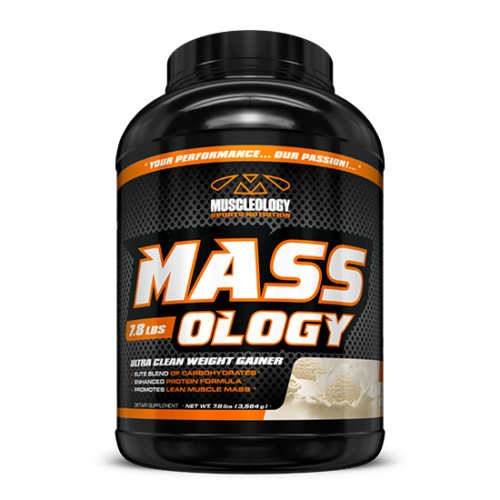 Mix 1 scoop in 8-16 oz of water and consume before training. 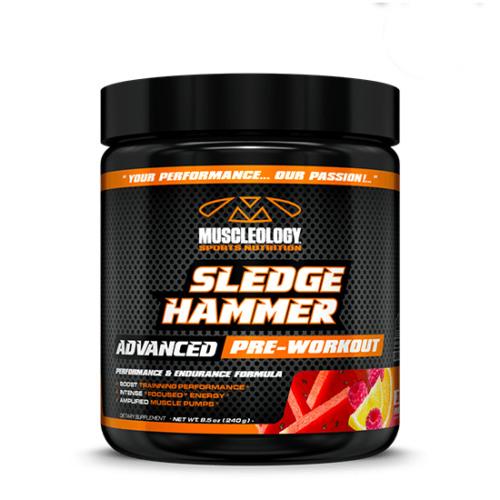 Some athletes will stack CATEGORY 5 with Muscleology SLEDGEHAMMER for improved workout intensity or with CARNITINE POWDER for added fat loss benefits. 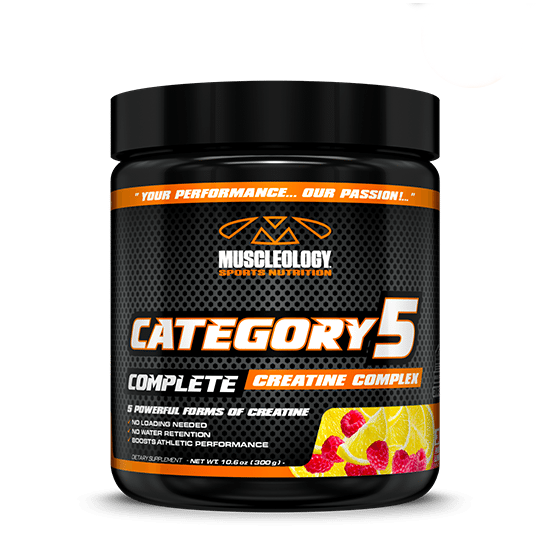 With CATEGORY 5 You Won’t Need to Fear the Storm – You’ll Be the Storm!